In this model, the source of the foreign key the current table being described (i.e. represented by the <table> element that contains the vs:ForeignKey description, and thus doesn't need to be named explicitly). The key described points to the table given by the <targetTable> child element. Each child <fkColumn> element then gives a pair of columns, one from the source table and one from the target table, that can be constrained to be equal in a query that joins the two tables. In general, the vs:TableParam's <dataType> can support any non-abstract type legally derived from vs:TableDataType. However, in the context of a vs:DataCollection or vs:CatalogService resource description, it is strongly recommended either vs:VOTableType or vs:TAPType (or some other IVOA standard type derived from vs:TableDataType) be used to ensure maximum interoperability. When the actual column type is not well matched to a type from one of these standard sets, authors are encouraged to use the extendedType attribute to refer to a more specific type. Note that the TAP standard [TAP] defines an explicit mapping between TAP_SCHEMA types and VOTable types. Thus, in the context of a vs:CatalogService resource description that supports a TAP capability (perhaps in addition to other catalog services like Simple Cone Search [SCS]), use of the vs:TAPType data type is preferred. 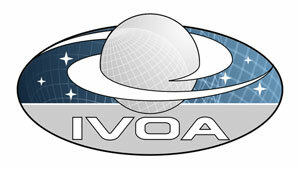 Tody, Doug and Plante, Ray 2004, Simple Image Access Specification Version 1.0 , IVOA Working Draft, http://www.ivoa.net/Documents/WD/SIA/sia-20040524.html.